Oracle Cloud EPM: drive predictable performance & report with confidence. Oracle Cloud EPM applications combined with the innovation and simplicity of the cloud, enable companies of any size to drive predictable performance, report with confidence, and connect the entire organization. 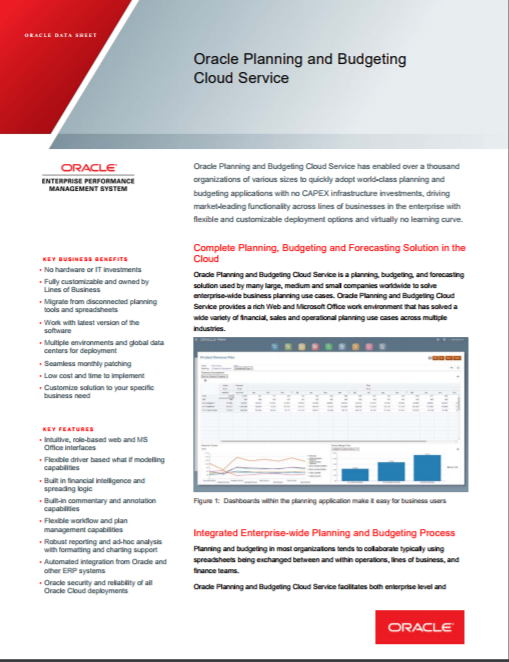 Oracle Planning and Budgeting Cloud Service enables you to quickly adopt world-class planning and budgeting applications with no CAPEX infrastructure investments and virtually no learning curve. Create your own custom planning and forecasting models to meet your specific needs, using the ease and power of Cloud. Leverage built-in tools and build planning models using your existing excel worksheets to help accelerate implementation time, getting you up and running within a few weeks. Benefit from first-rate planning and forecasting functionality. Meet the ever-changing needs of your business with flexible deployment options. Have 100% confidence in your financial consolidation, close and reporting processes. 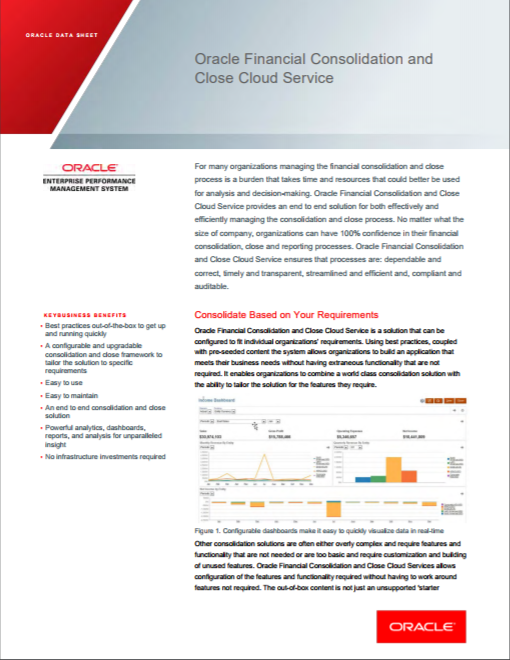 Oracle FCCS ensures that processes are: dependable and correct, timely and transparent, streamlined and efficient and, compliant and auditable.